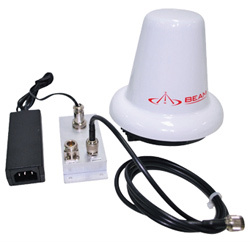 Iridium Active Antenna AT1621-20-R is a small, omni-directional antenna with a high quality enclosure. It is designed to work with Iridium docking stations and terminals where long RF cables are needed. This product is designed for use with active cables only. It allows for cable runs ranging from 23 m (76 feet) to over 100 m (328 feet).